John Wesley is largely credited as one of the founders of the modern Methodist Movement. I was recently blown away by how well he lived out his own life’s teachings when I learned of the way that he managed his finances. It caused me to reflect much deeper on how I manage my own…. Wesley grew up in poverty as a youngster. He was one of nine siblings, all of them supported by his father, Saul, who served as a Anglican priest in England. A father who was once ushered off to prison for failing to pay back his creditors. While he would eventually follow in his father’s footsteps by vocation, he felt God leading him to teach at Oxford University. Little did he know that eventually his financial situation would look nothing like his father’s. He was appointed as a fellow at Lincoln college (one of Oxford’s smaller schools). Financially, his life would never be the same. His new teaching position paid him a healthy 30 pounds per year, which afforded a comfortable life for a single man. Much of the money earned went towards playing cards, alcohol and tobacco. He was living high on the horse, but one a singular event would later turn his perspective on life and money upside down. Wesley believed that with rising incomes, Christians’ standard of giving should increase — not their standard of living. You can see in the table above that Wesley eventually gave nearly 98% of his income away later in life. He was the ultimate example of what is often referred to as reverse tithing. Wesley believed that Christians should consider themselves members of the poor. He lived and ate amongst them. Over the course of his ministry he opened two houses for widows. He rejoiced to eat at the same table and partake in the same meals that they ate. He looked forward to the day when all Christians would share together in the heavenly banquet. He also believed that the more that you buy the more you’ll want. Ain’t that the truth! I pray that we all consider the incredible life of John Wesley as an example of true kingdom-minded living. I have been pondering some practical ways to start on this road that seem impossible to accomplish in the flesh. I find comfort in knowing that Christ’s apostles found it equally difficult to do, even though they had left everything behind to follow Him (Luke 18:26-28). My prayer – Lord if it’s your will, teach me how to be like Wesley. In a sincere way, that’s not a works based manifestation of the flesh, but in a candid spirit-led way that is not out of false compulsion to please you for rewards (here or in the hereafter) but out of my love for you and your children. Amen! This is an incredible story, Charles. I’ve read about Wesley but never heard of this aspect of his life! I believe this is a secret few find and, like everything else on our journey, doable with God’s help, no doubt. Rick Warren must have discovered this truth as well. Thanks for sharing. Creates a desire in me to join you! Beautifully written! I would like to hear about the “practical” steps you’ve considered for living similarly. Maybe the next post:-). Also, here is what Wikipedia has to say about the end of his life: “Because of his charitable nature, he died poor. 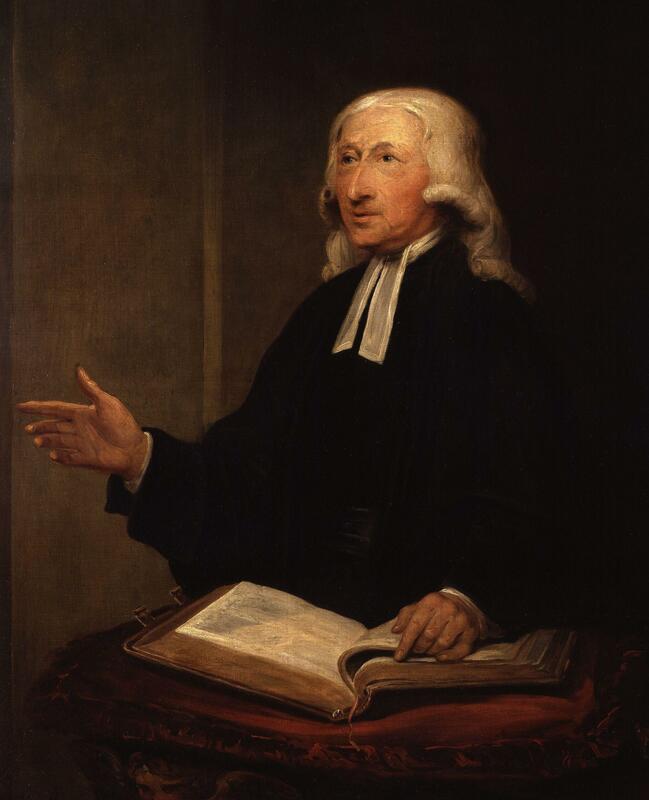 It has been said that when John Wesley was carried to his grave, he left behind him a good library of books, a well-worn clergyman’s gown, and the Methodist Church”. What an amazing sacrifice he made. It’s hard to imagine anyone being willing to do this, but it still seems like it would’ve been easier in the 1700’s. We are so materialistic today. I immediately start to think of what I’m going to have to do without to live this lifestyle. I don’t consider myself an extravagant spender, but it’s going to hurt at first. I think if I take small steps now, and keep challenging myself to take a bigger step each time I give, then I will soon get to where I want to be. And I’m sure the road ahead will be overflowing with life lessons I needed to learn. I’m in! I totally agree with all, this is a challenge worth taken up to be a strong advocate for Christ. Thanks for sharing Charles, God has place on our hearts concerning down sizing some life choices. I pray as well that He will show me how to do this.